Cape Town - England striker Jermain Defoe is using his past disappointments as motivation to make Gareth Southgate's squad for the 2018 World Cup. The 35-year-old returned to the international fold earlier this year as reward for his fine form at struggling Sunderland, having not featured for his country since the qualifiers for the previous edition in Brazil. 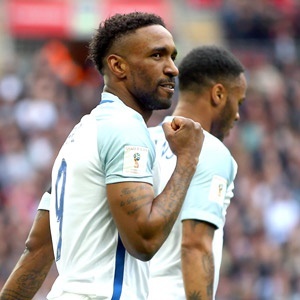 Defoe was overlooked by former Three Lions manager Roy Hodgson for both the 2014 World Cup and Euro 2016, but earned a recall from Southgate and scored on his return in a 2-0 win over Lithuania in March. The veteran marksman has since joined Bournemouth in the wake of the Black Cats' relegation from the Premier League, and is enjoying plenty of game time in the opening months of the new campaign, with one goal in seven top-flight outings for Eddie Howe's side. Defoe finds himself firmly behind Harry Kane and Marcus Rashford in the pecking order up front for the national team, but the West Ham youth product believes he can force his way into the reckoning by performing well for the Cherries. "In a World Cup year, you always want to do well for your club because it is based on merit," he told Sky Sports News. "To get into a squad, you have got to be playing well for your club, it's as simple as that. As a forward, you have got to be scoring goals to get into the squad. "I think having played in a World Cup, having had that experience, not just the games, the build-up and being at the hotel with the team, just everything involved in being at a World Cup is so special. "It's the pinnacle and to get the opportunity again would be really special, especially with this group of players. I believe this group have got so much more to offer and so, of course, that's the dream, the dream has not changed since day one to play in a major tournament." Speaking about missing out on Brazil 2014, Defoe added: "Even to this day, I believe I should have gone. I know I went to Toronto in March, but leading up to that point, I was playing for Tottenham and scoring consistently. "I felt sharp and I just felt I should have gone, to be honest. It was a massive disappointment and that motivates me to think that because I missed that one, I want to go to the next one."